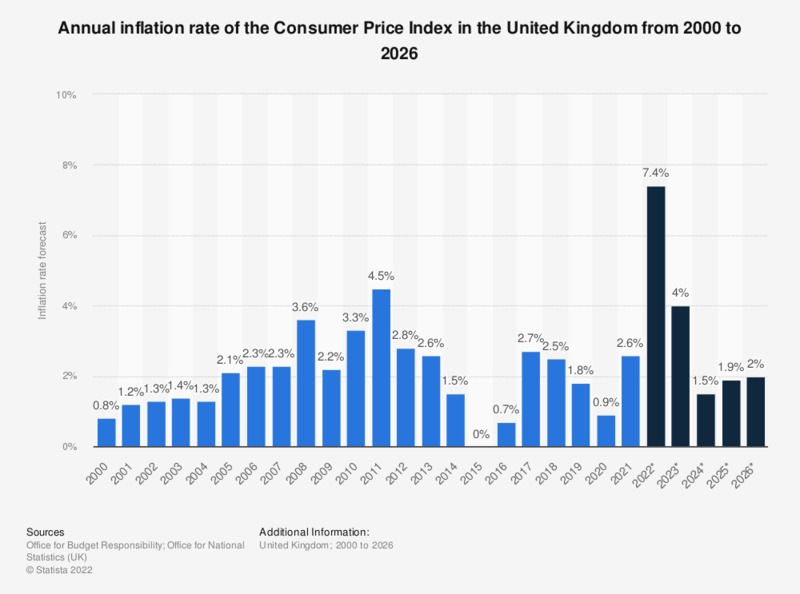 This statistic shows the forecasted percentage change on a year earlier of the Consumer Price Index (CPI) in the United Kingdom (UK) for the first quarter of 2018 to the fourth quarter of 2019. The CPI rate is the most commonly used measure of inflation in the UK. This forecast, predicted a peak during this period of 2.7 percent in the first quarter of 2018, with the inflation rate expected to decrease to 2.1 percent by the third quarter of 2019. More information regarding the UK's CPI is available, including monthly UK CPI data as well as annual data and comparative data regarding consumer price indices in the United Kingdom. Everything On "Inflation and price indices of the UK" in One Document: Edited and Divided into Handy Chapters. Including Detailed References.